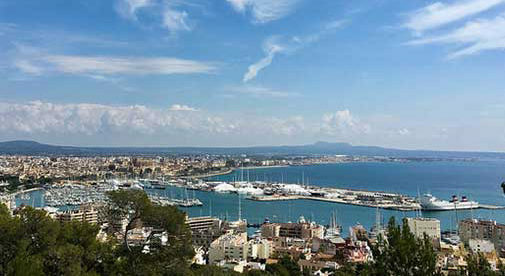 Mallorca, the largest of Spain’s Balearic Islands, has been enticing foreigners to its sunny shores since the 1950s. Many a visitor has come on vacation, fallen under its spell, and decided to relocate to this Mediterranean gem. It’s not only the long, hot summers, mild winters, and laidback lifestyle that lure people here. It’s also the 100-plus beaches and coves that indent the shoreline, the dramatic Tramuntana mountain range that runs along the northwest coast, and the mix of an elegant and sophisticated capital city, small traditional villages, and buzzing seaside resorts. But as well as the geographical diversity and stunning scenery, it offers a quality of life that is hard to match: In Mallorca every town and village holds a weekly market where you can pick up fresh, seasonal produce for far less than you would pay in the grocery store. There are over 70 vineyards that produce high quality wines, with perfectly drinkable bottles starting at around €2 ($2.50), and seven Michelin starred-restaurants for when you need a dose of fine dining. There is also the peace of mind of having an excellent hospital—one of the largest in Europe—and good flight connections to other European cities. Following a decade-long recession, Spain is finally back on its feet economically. The island is thriving, new businesses are opening every day, and a steady stream of northern Europeans, Americans, and Canadians are choosing to relocate here. The fact that property prices, which took a nose dive during the recession, are recovering more slowly, is an added attraction, as there are some great deals to be found. Palma de Mallorca, Mallorca, Spain. 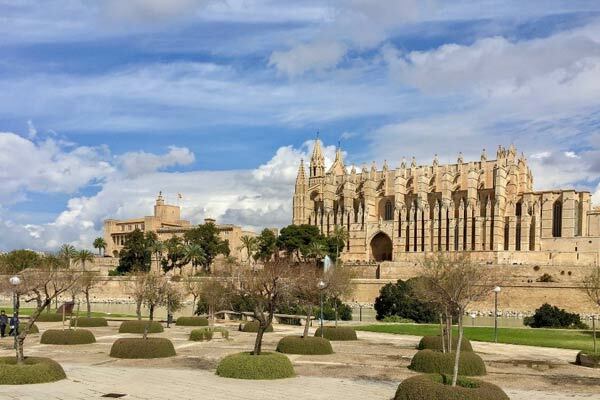 Palma, the capital, with its atmospheric warren of cobbled streets in the old town, glamorous waterfront lined with sleek yachts, and quirky, bohemian neighbourhoods, is something of a cosmopolitan melting pot, attracting residents of all ages, nationalities, and creeds. The re-gentrified historic quarter is absolutely charming—but that comes at a price. A one-bedroom apartment with exposed wooden beams, terracotta floor tiles, a modern kitchen and bathroom, and a roof terrace with sea views, is available to rent for €850 ($1,040) per month. If you’re looking to purchase a property, one-bedroom apartments in this area start at €160,000 ($198,000). A little further out but still within easy reach of all the city centre amenities, and with the added convenience of easy parking is a two-bedroom, one-bathroom apartment on the market for €155,000 ($192,000). In the north of the island, the small, picturesque town of Pollensa, and its sister town of Port de Pollensa at the coast, have easy access to the mountains and are popular with foreign residents year-round. Just a few minutes’ walk from the beach, shops, and services, you can purchase a two-bedroom, one-bathroom, renovated condo in Port de Pollensa with a shady terrace and its own garage, plus access to two communal pools and gardens for €150,000 ($185,000). Also close to the sea and the marina is a beautifully refurbished two-bedroom apartment with a pool, that has just been reduced to €199,000 ($245,000), and includes tasteful, rustic chic furniture. If rural bliss is more your style, there are some great detached homes to be found inland. Algaida is an ideal location being only 15-minutes from the capital and the same distance from a lovely stretch of coast. Currently on the market for €170,000 ($210,000) is a cute little country cottage, surrounded by pine forest. Arranged on a single story, with a covered porch, open fireplace and 8,000 square metres of land, it’s ideal for a nature-loving couple. Two miles out of the town of Llucmajor, located on a lot with plenty of fruit trees, is a three-bedroom detached home that comes complete with a garage, built-in barbecue, covered terrace, and various out houses, for only €210,000 ($260,000). The right property depends very much on whether your priorities are to be near the coast, in the city, or out in the country, but whatever your preference, there are plenty of options.